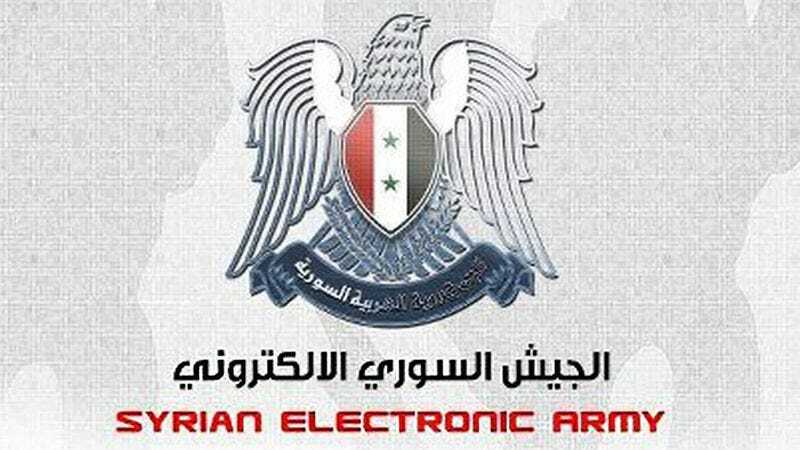 DAMASCUS, SYRIA—After hacking into The Onion’s Twitter account earlier today, members of the Syrian Electronic Army confirmed that the organization simply wanted to have a little fun before soon dying at the hands of rebel forces. “We figured that before they bust in here and execute every single one of us, we might as well have a good time and post some silly tweets about Israel from a major media outlet’s feed,” said a spokesperson from the pro-Assad group, adding that he and his cohorts “had a few good laughs” and are now fully prepared for their painful and undoubtedly horrific deaths in the coming days. “I mean, we definitely don’t have much time left, so we thought, hey, let’s just enjoy ourselves before getting blown away by rockets, decapitated, beaten to death, or hung during public executions. Why not, right?” At press time, violent screams and pleas for mercy were reportedly overheard as rebel troops broke into the Syrian Electronic Army’s hideout.